Happy Birthday to my Big Brother! | H.B. Charles Jr.
Today is my big brother’s 50th birthday. 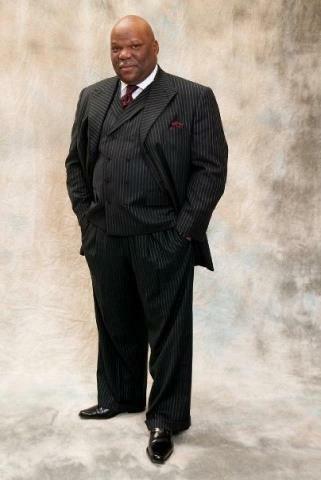 I thank God for Kevin B. Willis Sr. and the blessing his life is to me. I preached my first sermon when I was 11-years-old. What I remember best about that service is my brother being there and extending the invitation afterward. I remember the first time Kevin heard me preach after our father passed. Afterwards, he told me two things: (1) You are a good young preacher, and (2) you need to forget it. I didn’t want to hear that. But that just proved that I needed to hear what he said. It was great advice that has stayed with me. It reminds me that humility is my greatest friend and pride is my worst enemy. Kevin is the preacher of the family. And just to show you how unfair life is, he can really sing, too. During the years I served our father’s church in Los Angeles, Kevin was the church’s favorite preacher. One sister would ask me each week when Kevin was coming again. When my answers didn’t satisfy her, she told me I should start saying, “Don’t you leave me by myself” in my sermons, like Kevin. Kevin has quickly become one of Shiloh’s favorite preachers. One of the brothers here regularly asks me when Kevin is coming again. About the time I moved to Jacksonville, the Lord led Kevin and his wife Linda to start a new congregation. It was a huge step of faith. But the Lord has honored their faith, obedience, and labors. I am encouraged to hear the praise reports of how God is at work in and through the New Life in Christ Fellowship Church. For all the years I have been in ministry, I still live in the shadows of my father and my brother. And it’s a great place to be. It is an honor to be called Dr. Charles’ son and Kevin’s little brother. I am proud of my brother. He is a godly man, a powerful preacher, and faithful shepherd. Even though we rarely get time together, his example – even from a distance – both anchors and uplifts me. May the Lord bless you with many more years of fruitful life and ministry.